Aspen Tile is the one-stop shop for all of your tile and stone design needs. For over 15 years we've served Colorado's most discriminating customers, from artists and actors to shop owners and princes. Whether you're designing for a 500-square-foot studio or a 50,000 square foot palace, no space is too big or too small. Whatever the space -- kitchen, bath, salon or foyer -- whatever the structure -- floor, fireplace, wainscot or backsplash -- we've got designs to fire your imagination. Over our last thirty-one years in business in Aspen, CO, we've expanded our offerings to carpet, countertops, and a wide variety of custom tile & stone installations. By hand fabricating each piece we are able to provide excellent attention to detail that makes the difference between beautiful countertops to exquisite works of art. 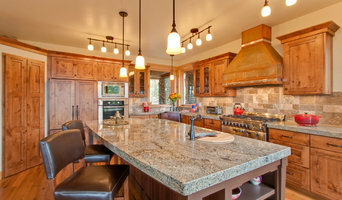 We take pride in our work and provide you with countertops that you will be proud of as well. From quarries all over the world and right to your place, Colorado Slab and Tile is here to help. Our professional team is experienced and highly trained in stone fabrication and installation. Select Surfaces Flooring and Design Center, serves Vail, Beaver Creek and the Vail Valley. We are proud members of the International Design Guild. Discover for yourself why contractors, designers and homeowners choose to work with Select Surfaces for their specifications for their building and remodeling projects. We have a large selection of tile, natural stone, wood floors, blinds and carpet. Our goal at Connelly Tile is to provide quality and affordable options for residential and commercial clients, emphasizing high end looks that rival real stone surfaces. Our simple coloring system guarantees you will achieve that one-of-a-kind look.iCoats is scratch resistant and can withstand up to 500°F - perfect for kitchen counters! And talk about GREEN?! We all are stewards of the resources we use. Using recycled materials and minimize landfill waste are wise decisions that will impact you and your future generations. You do not want harsh chemicals used around you that harm the environment, your pets, loved one, or your greenery. Neither do we. With the iCoats System, I can transform ordinary countertops into the high gloss, high end look of granite, stone, or marble. By using a thin layer of concrete over your existing countertops, you avoid the tear-out process of removing your old countertops, not to mention you avoid the high expense of real granite which can run in the low to mid 5-figures. The coloring options are endless and I will replicate your favorite style of natural stone. Also these amazing iCoats countertops are every bit as durable as the real thing as will as being water proof, heat resistant & scratch resistant. Decorative Materials is the ultimate design resource for tile, stone and bath products. We offer thoughtful, individually-tailored designs using a rich variety of customizable, high-quality products. With three exquisite showrooms highlighting over 200 ever-changing, design-driven vignettes, we’ve built an inspiring aesthetic environment to satisfy every request. Our creative solutions rely on an exclusive collection of timeless products, and our unparalleled, hands-on service ensures a unique and pleasant customer experience. Over thirty years of industry service covering all aspects of ceramic tile & natural stone installation including complete renovation services. Schluter Systems recognized installer and Iris Factory Advanced Certified installer of Large Porcelain Tile Panels. 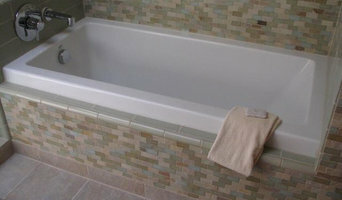 We are a custom tile and stone installation company in the Roaring Fork Valley of Colorado. We assist in design work, making tile selections, ordering, storing, delivering and installing any tile or stone ideas you can imagine. We manage the project from start to finish to give the best possible finished product. Our goal is to make sure our clients get exactly what they desire, a beautiful product that will last, and a smooth and comfortable path to completion. Colorado Slab and Tile has been installing high-end natural stone, engineered quartz, and ceramic tile in the Eagle and Vail Valleys since 1994 also serving Garfield, Summit and Routt County. Our experience ranges from contract work on the finest luxury homes in the rocky mountain region to world class 5 star hotels to a simple home and small projects. The master craftsmen at Colorado Slab and Tile mission is to ensure your projects have the highest level of professional fit and finish. Featuring the finest ceramic tile and natural stone in the industry, the latest techniques and trends, and the highest quality materials available...The art of stone and tile! From simple floor plans and small repairs to complete renovations and restorations our attention to detail is priority one. The highest standards, the finest materials, and master craftsmanship with guaranteed results. Colorado Slab & Tile…the art of stone and tile installation. SteamMaster is a 24 hour emergency service restoration and cleaning company serving Aspen, Vail, Breckenridge, Steamboat Springs, Winter Park and other surrounding mountain resort communities. Da Vinci Marble and Granite is a premier installer of tile and countertops. We pride ourselves on the quality of the work that we do. Not only do we work directly with homeowners but we also work with many local designers and builders. All of our team members are certified by the Ceramic Tile Education Foundation. Alex is also trained on the Shcluter Shower Systems and Kerdi Shower Systems. We are a locally-owned, trusted family business operating in Colorado for over the last 16+ years. Serving residential & commercial properties in the Salida, Buena Vista, Poncha Springs, Leadville, Gunnison, Canon City, West Cliffe, & Crestone areas, our highly-trained staff will work diligently to ensure all of your needs are addressed. Let us help you create your dream property by transforming your interiors through our excellent designs & guaranteed installations. 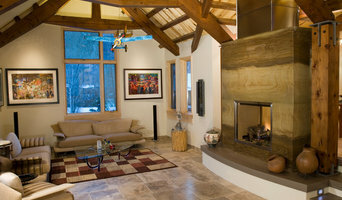 Eurostone is a custom slab and tile design shop in Aspen Valley, Colorado, specializing in European quality design. With a clientele from Red Mountain in Aspen to Carbondale's Aspen Glen and River Valley Ranch, the fine craftsmanship in slab design, as well as natural stone tile flooring and baths, has distinguished Eurostone as the quality stone shop in the valley. Recognized by Aspen Soujourner Magazine, as well as the best builders in the valley, Eurostone has not only the eye, but the experience, to accomplish the perfect natural stone installation for the upscale homes in the Aspen Valley. Tile, stone and countertop projects might not sound especially complicated, but they can be surprisingly hard to get right. Seeking expert assistance can help homeowners save time, money and frustration. Contractors who specialize in this field are trained to install and repair tile and stone surfaces in your Aspen home, from flooring to backsplashes, as well as countertop materials such as solid surface, granite and marble. In addition to basic surfaces, many Aspen, CO tile, stone and countertop contractors can create and install murals and mosaics, as well as add decorative edge treatments to countertops. They also repair or replace surfaces in the event of chips, cracks, stains or other damage. Many tile, stone and countertop professionals also install shower pans, radiant-heat flooring systems and other common components of surfacing jobs, often working in tandem with Aspen, CO plumbers or other professionals. Here are some related professionals and vendors to complement the work of tile, stone & countertops: Interior Designers & Decorators, Architects & Building Designers, General Contractors, Kitchen & Bath Designers, Design-Build Firms. Find a tile, stone and countertop contractor on Houzz. 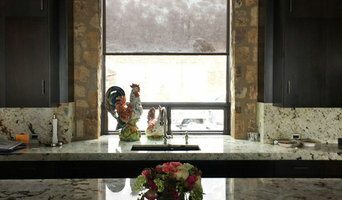 Narrow your search in the Professionals section of the website to Aspen, CO tile, stone and countertops. You can also look through Aspen, CO photos to find tile, stone and countertop projects you like, then contact the contractor who worked on it.